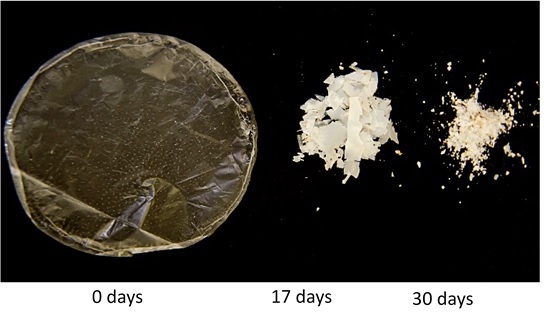 Biodegradable bags: a solution to Africa’s waste crisis? And they’re off! The yacht Boaz set sail from Gordon’s Bay, Cape Town this Monday morning at 5:30am on high tide in good conditions. The yacht is due to arrive in P.E. 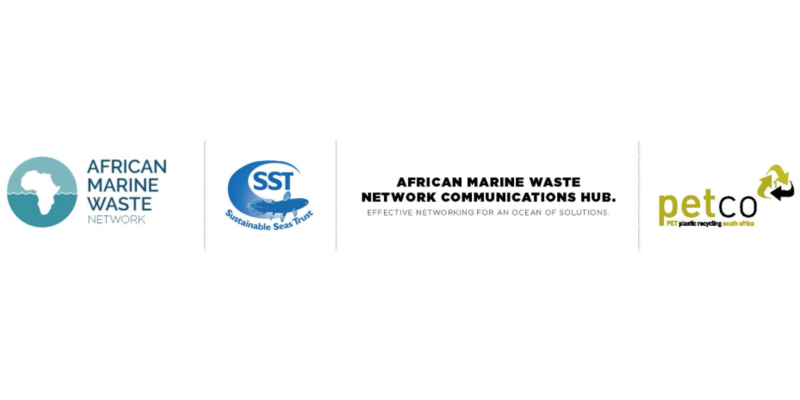 on the 8th of July in preparation for The African Marine Waste Conference (9th-13th of July). Boaz (generously donated by Keith Wetmore) will be launched under the Sustainable Seas Trust moniker as their new research vessel at an event at the Algoa Bay Yacht Club on the 9th of July.All are welcome to attend this event featuring a sail around the bay at 10am and address by Dr. Sylvia Earle at 12pm. 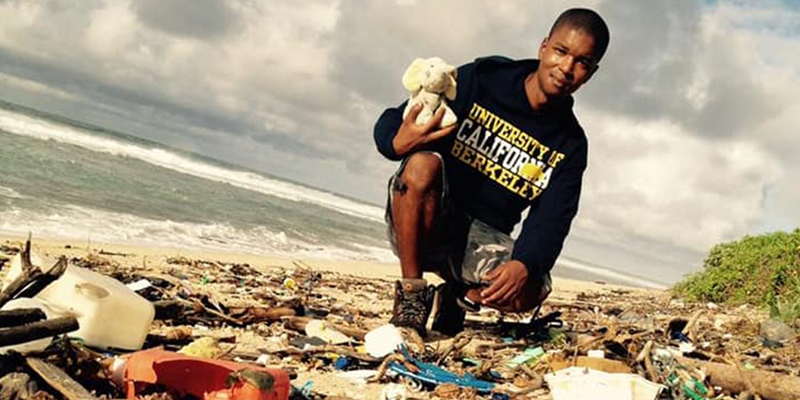 Boaz will sail the coast of Southern Africa and to islands of the West Indian Ocean to promote Mission Blue’s Hope Spots, education on marine debris and ocean research. Want to join the crew for future expeditions? Email us at info@sst.org.za. We will be posting the coordinates of the Boaz’s trip up the coast on a daily basis. Watch this page to see the latest developments. Along for the ride are the winners of the volunteer competition hosted by Getaway and SST. The crew was handpicked out of 180 applicants. Yesterday we saw a lot of bird activity and briefly encounted two dolphins. The ocean was a little choppy and most of the crew were feeling under the weather. Fortunately today everyone is looking and feeling much better. We sailed through the night on a watch schedule and passed the Southern most tip of Africa, Cape Agulhas at about 5am. During the day, a seal followed us for over an hour. 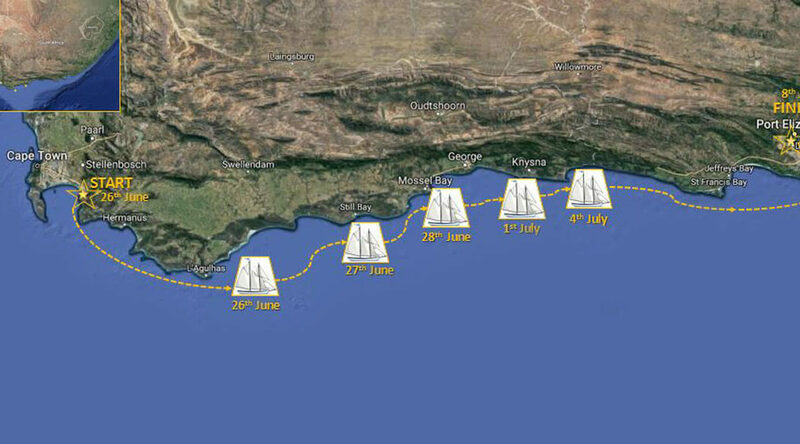 We are ahead of schedule, and may reach Mossel Bay tonight if all goes well. We had a fairly easy trip and sailed throughout the night. We expect to reach Mossel Bay at 3am this morning. We have arrived safely in Knysna, with a friendly welcoming party from the Yacht club. Sailing throughout the night was a little rough, as the high swells caused the boat to rock. Coming into The Heads at Knysna was somewhat intimidating, with the swell and the waves breaking in front, but we stayed on the line and made it in safely. It was quite a sight to see all the houses and cliffs that burned down in the Knysan fires, and the few that amazingly survived. We arrived at Plettenberg today just after 6pm with a lovely sunset to greet us. We’ll stay anchored in Plettenberg until Friday mid-morning, from there we’ll lift the anchor and set off towards PE, to arrive Saturday close to midday. We’re picking up anchor around 9 am this morning heading for PE, which we will reach within 24 hours. Plettenberg’s weather has been amazingly warm for the middle of winter, you would think it’s summertime. The last couple of days have been fun, with a 10km hike around Robberg Nature Reserve. To our dismay the Kysna fires had burned right up to the entrance of the reserve. Luckily most of the reserve and walking routes seem to have survived and hopefully the animals with it. We had some interesting rubber duck transfers to shore; one was unlikely to arrive dry on the other side, but it was all good fun. See photographs from the expedition here (photographs taken by Simone Fick and Andrew van Zyl). Experience: Includes a trip 500 miles off the coast of Cape Town and deliveries between Cape Town and Saldanha. Experience: Sailing experience as crew for the Scarlett Sun at the Royal Cape Yacht Club in Cape Town. When she’s not sailing she works in the Maritime Industry and ventures out hiking. Experience: Sailing with the 2 Oceans Maritime Academy which included a trip to Rio and around Cape Town. Qualifications: Marine Mammal Observer and Passive Acoustic Monitor certificate. Experience: Working on research and volunteer trips. A nature-lover, she has sailed in Namibia, South Africa, Madagascar and Wales.